Do you love Las Vegas? 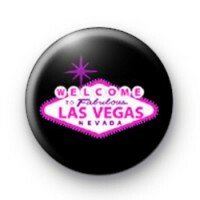 This badge features the cult welcome to Las Vegas sign in a black badge with pink details. For all lovers of gambling and the big city, not to mention the shows and sights. A wonderful welcome to Las Vegas badge.